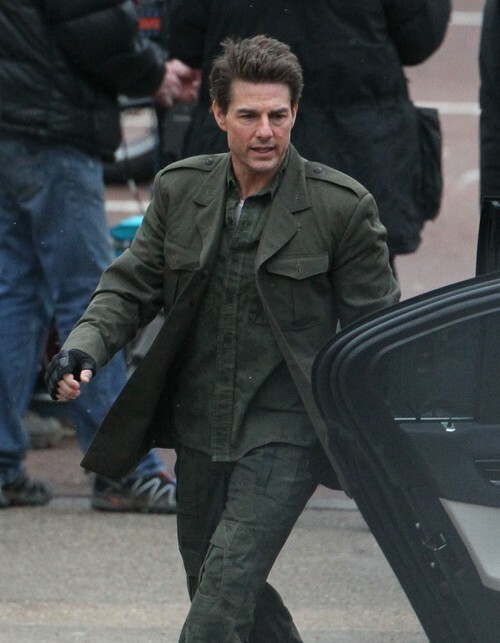 Tom Cruise Has His Eye On Starring In The Man From U.N.C.L.E. Despite the success of the last Mission Impossible movie, which we didn’t bother watching, Tom Cruise has decided to slow down any future sequel films to work on something completely new. The actor is said to be starring in The Man From U.N.C.L.E, said to be directed by Madonna’s money-grabbing ex-husband, Guy Ritchie who also worked on the rebooted version of Sherlock Holmes. Does it sound promising? Well, since we have seen Sherlock Holmes, we’ll say that Guy’s chances on doing a good job on this flick are fairly high. Tom will be playing the role of Napoleon Solo, as made famous by Robert Vaughn back in the 1960s when the original movie first hit cinemas. The movie was a hit with its audience, and there’s no doubt that this one is going to take its competition down once it is given a release date. Currently, no production company who plan on taking on the movie have been revealed yet, but there’s already one signed to it. The talk on this film are being kept a secret, so we’re sad to bust their bubble because we already happen to know it all.. except who is its production company. Ha. The reason why it took the movie 50 years before it could be rebooted – despite there having been plans almost a decade ago to start filming a newer version – was because there were a lot of issues with the casting and who would possibly be able to play such a strong character in the movie. It’s still very odd to think that they couldn’t decide on who should play the part of Napoleon Solo for TEN YEARS!! Just two years ago, George Clooney was asked to play the part, he quickly turned it down which then had other actors being asked to star in the movie. Channing Tatum, Bradley Cooper, Ryan Gosling and Michael Fassbender were then in the lead to take on the role, but all of a sudden, the movie just didn’t happen again — many people weren’t happy with the way the casting was going and who was being considered. Well, now we have Tom, so yay! !